Brandin Cooks, the New England Patriots wide receiver, was rushed off the field during Super Bowl 52. 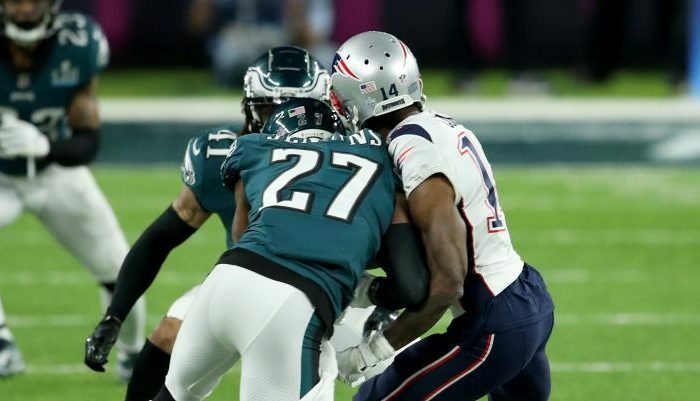 He caught a pass from Tom Brady before he received a blindside hit from Philadelphia Eagles safety Malcolm Jenkins. Cooks is going straight to the locker room. Brutal helmet-to-helmet hit. It appeared to be a helmet-to-helmet hit. Cooks won’t return to the game, according to the Patriots in a tweet. #Patriots injury update: Brandin Cooks (head) has been ruled out for the game. This is a breaking news update; refresh for later updates. Brandin Cooks will not return. He is out. Bad news. For those of you wondering, they did not show the replay of the hit on Cooks in the stadium. Not once. I still haven't seen it.